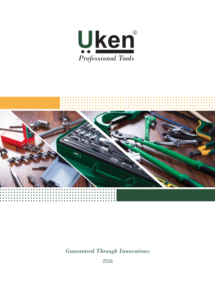 Whether you're a retailer looking for the best quality products to offer your customers, or a skilled end-user looking for the best tools, Uken is here to serve you. Uken is proud of its reputation for excellence. We are dedicated to continually testing, designing and improving our products to ensure quality and maximum function. Maintaining our standing of being the industry's best at what we do is important to us and what you expect from a name like Uken. Uken is one of the top tools brand catering to dealerships and end users alike. We are dedicated to providing its customers with outstanding products, timely delivery, and customer service that is second to none. Uken is committed to product innovation driven by listening to our customers and to continuous improvement in everything we do.